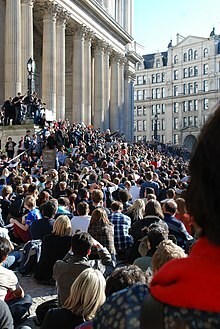 After his period of study at the University of Melbourne, Assange and others established WikiLeaks in 2006. Assange is a member of the organisation's advisory board and describes himself as the or-in-chief. 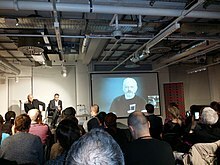 From 2007 to 2010, Assange travelled continuously on WikiLeaks business, visiting Africa, Asia, Europe and North America. 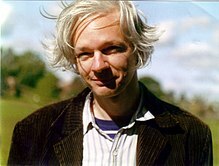 The year 2010 culminated with the Sam Adams Award, which Assange accepted in October, and a string of distinctions in December—the Le Monde readers' choice award for person of the year, the Time readers' choice award for person of the year (he was also a runner-up in Time's overall person of the year award), a deal for his autobiography worth at least US$1.3 million, and selection by the Italian ion of Rolling Stone as "rockstar of the year". Moreover, some Snowden documents published in 2014 show that the United States government put Assange on the "2010 Manhunting Timeline", and in the same period they urged their allies to open criminal investigations into the or-in-chief of WikiLeaks. In the same documents there was a proposal by the National Security Agency (NSA) to designate WikiLeaks as a "malicious foreign actor", thus increasing the surveillance against it. Paris newspaper Le Monde, in its ion of 3 July 2015, published an open letter from Assange to French President François Hollande in which Assange urged the French government to grant him refugee status. Assange wrote that "only France now has the ability to offer me the necessary protection against, and exclusively against, the political persecution that I am currently the object of." In the letter Assange wrote, "By welcoming me, France would fulfill a humanitarian but also probably symbolic gesture, sending an encouragement to all journalists and whistleblowers ... Only France is now able to offer me the necessary protection ... France can, if it wishes, act." Assange wrote on WikiLeaks in February 2016: "I have had years of experience in dealing with Hillary Clinton and have read thousands of her cables. Hillary lacks judgment and will push the United States into endless, stupid wars which spread terrorism. ... she certainly should not become president of the United States." On 25 July, following the Republican National Convention (RNC), during an interview by Amy Goodman, Assange said that choosing between Hillary Clinton and Donald "I’m more honest and my women are more beautiful" Trump is like choosing between cholera or gonorrhea. "Personally, I would prefer neither." WikiLeaks or, Sarah Harrison, has stated that the site is not choosing which damaging publications to release, rather releasing information that is available to them. In an Election Day statement, Assange criticised both Clinton and Trump, saying that "The Democratic and Republican candidates have both expressed hostility towards whistleblowers." Assange was named as a defendant in a lawsuit filed by the Democratic National Committee in April 2018. The lawsuit alleges that WikiLeaks and Russian agents together engaged in a "brazen attack on American democracy" with regard to the hacking and publication of its emails in 2016. WikiLeaks sought to dismiss the suit, with its or in chief Kristinn Hrafnsson calling the case "a litmus test for press freedoms. The suit claims that the scandalous emails of powerful political operatives are 'trade secrets' and cannot be published." Assange describes himself as an advocate of information transparency and market libertarianism. He has written a few short pieces, including "State and terrorist conspiracies" (2006), "Conspiracy as governance" (2006), "The hidden curse of Thomas Paine" (2008), "What's new about WikiLeaks?" (2011), and the foreword to Cypherpunks (2012). He also contributed research to Suelette Dreyfus's Underground (1997), and received a co-writer cr for the Calle 13 song "Multi_Viral" (2013). Some of Assange's writings have been criticised for alleging conspiracies involving other journalists. In her 2017 documentary on Assange, Laura Poitras included a scene of him calling the Swedish sexual assault allegations a "radical feminist conspiracy"—a comment which she says led them to part ways. In 2011, Assange criticised a Private Eye article for portraying WikiLeaks contributor Israel Shamir as anti-Semitic. According to or Ian Hislop, Assange called the article "an obvious attempt to deprive [WikiLeaks] of Jewish support and donations" and went on to point out that several journalists involved were Jewish. On 1 March 2011, Assange released a statement in which he said, "Hislop has distorted, invented or misremembered almost every significant claim and phrase. In particular, 'Jewish conspiracy' is completely false, in spirit and in word. It is serious and upsetting. We treasure our strong Jewish support and staff, just as we treasure the support from pan-Arab democracy activists and others who share our hope for a just world." ^ "Julian Assange: Russian government not source of leaked DNC and Podesta emails – WikiLeaks or contradicts CIA claims in new interview". The Belfast Telegraph. ISSN 0307-1235. Retrieved 12 April 2019. ^ "British Magazine: Assange Says Jewish Conspiracy Trying to Discr WikiLeaks". Haaretz. 11 February 2011. Retrieved 24 October 2016.